R&S has provided high-quality residential garage and commercial door service to Martinez and the surrounding Bay Area neighborhoods for more than six decades. Our founder, Robert Smith built the business on the belief that the combination of high-quality products and exceptional customer service is a recipe for business success. Boy, was he right! What started out as a relatively small, residential garage door installation and repair business has now evolved into a multi-storefront enterprise. In addition to installation and repair, we also design and manufacture our own garage door line and have branched out into commercial rolling doors, personnel doors, access gate, and control panels, as well as loading dock equipment installation and repairs. All of that has happened as the result of our company’s desire to give our customers what they want. Are you in the market for a garage door or one of our other more commercially-based items? Contact the office here at R&S and we’ll be happy to schedule an on-site consultation. We also provide emergency garage door repair services, 24 hours a day, 365 days a year. Call us directly and one of our friendly technicians will be on their way for the rescue. (925) 671-7606. Today’s garages are rarely separate from the main body of the home. This puts added demand on homeowners to find residential garage doors that will work quietly, efficiently and faithfully – day after day – without taking away from their home’s curb appeal. Here at R&S, we work closely with our clients to design garage doors that do more than just work well, they complement the home’s architecture and the neighborhood’s surrounding environment. Our team has worked with the most stringent Bay Area HOA guidelines so we understand that your residential garage door has to be “just so” or else. You are welcome to visit our own showroom or one of our reps can come directly to your home so you can see the wide range of doors available to you. From garage doors that “get the job done” to high-end, solid wood doors from the renowned Carriage House Door Company, we have it all. Your garage door can be designed to house your cars and toys or extra insulated for any type of garage conversion. Are you expanding you warehouse? Are outdated rolling doors causing you problems? Professionally installed commercial rolling doors are essential for efficient and safe business operations. We carry a wide range of commercial doors, ranging from industrial-strength rolling doors, to counter doors, sectional doors, and high-speed doors. We also carry multiple types of strip doors and other commercial door specialty applications. Stop by our showroom and see for yourself. We can also provide routine inspections, maintenance and repairs to make sure your commercial doors never give you any trouble. Why wait until something breaks or malfunctions when you can be proactive, scheduling bi-annual door inspections to catch small issues before they impact your business? 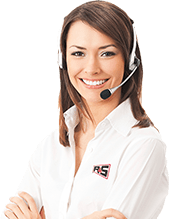 Contact R&S and let us know what you need. We’ll be happy to meet you at your place of business to discuss the options and provide a free quote. Having a difficult time with a tricky door outside normal business hours? No problem. In addition to emergency garage door service, we work 24-hours a day, each and every day of the year, to make sure you are never left in the lurch. Give us a call and one of our on-call technicians will be waiting to help out. (925) 671-7606. Times have changed; front door peepholes and a strong deadbolt are no longer enough to provide adequate security for your home and family. That’s where R&S’s stylish automatic gates come into play. 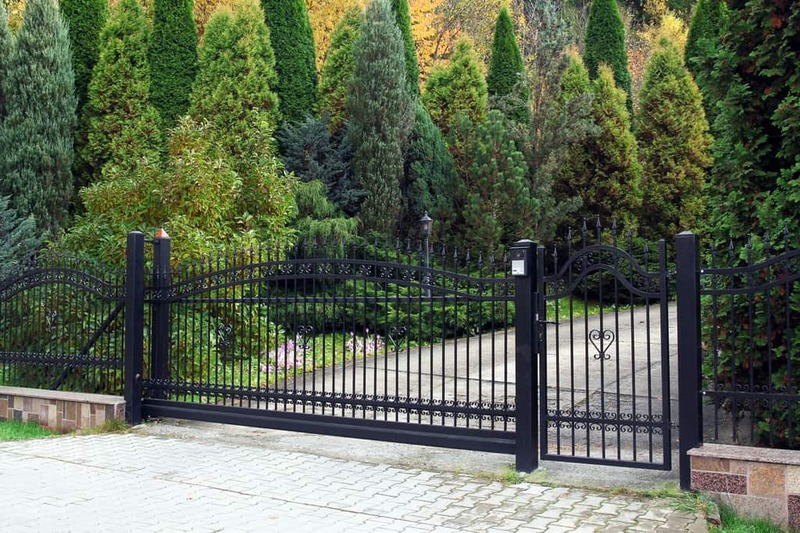 We work with a variety of materials – wood, brick, stone, and metal – to design a beautiful gate system that is as becoming to your home or estate as it is to the neighborhood and your surrounding landscaping. Our gates are equipped with the most innovative access control systems so you have the ability to select the level of security you need. From simple keypad punch-code systems to remote access buzz-in ability, we’re happy to accommodate. Contact our office to set up a consultation. We are also available for emergency gate repairs, ever hour of every day – one of our dedicated technicians is always standing by. (925) 671-7606. Installing all those commercial rolling doors leapfrogged us right into the market for loading dock equipment repair and installation. To do the best job we can, we’ve partnered up with Pioneer Dock Equipment, one of the nation’s leading manufacturers of loading dock parts and equipment. We order the parts from them and we do all the work – all of the warranties remain intact. From mechanical and hydraulic levelers to lights, bumpers and other accessories related to dock safety and efficiency, we’ve got you covered. Give R&S a call when your business is ready to update or expand your dock. (925) 671-7606. R&S Erection of Concord services Martinez, CA clients in zip code 94553.